In the latest bit of news to be filed under “better late than never,” none other than Nicolas Cage has been confirmed to voice Superman in the upcoming animated flick Teen Titans Go! To The Movies. 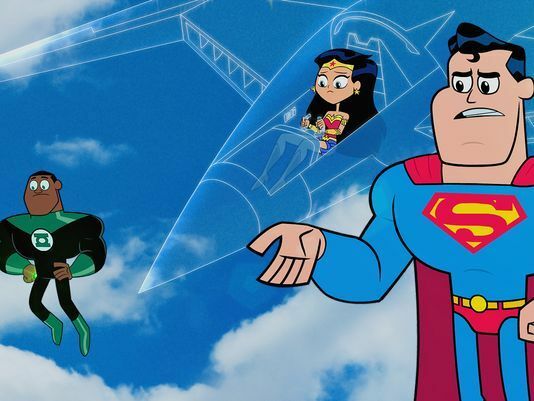 Set to carry over from the adventures seen on Cartoon Network, this offering will place the focus on some of DC’s most popular adolescent heroes, albeit with a highly comedic spin. Now, what makes this particular round of casting special is that Cage had previously been enlisted to star as the Man of Tomorrow himself in Tim Burton’s ill-fated Superman Lives back in the late 1990’s. Believe it or not, the studio pulled the plug on that one just days before shooting was set to commence, making it one of the hottest pieces of trivia in superhero film history, with even a documentary about it having been produced in the time since. And while we could debate all day on whether that’d have been a good movie, I, for one, am happy that Cage eventually got to play Superman in some capacity during his career. Actually, this is quite similar to how Billy Dee Williams voiced Two-Face in The LEGO Batman Movie, after having played only the Harvey Dent side of the coin in 1989’s Batman before Tommy Lee Jones was put in place of him in Batman Forever a few years later. Joining Cage for other Justice League cameos will be Halsey as Wonder Woman and Lil Yachty as Green Lantern John Stewart. As of now, no other heroes from that specific superteam have been announced, but one has to think that if Batman were to join the party, casting someone like Armie Hammer would be appropriate, for he was set to play the Dark Knight in the canned Justice League Mortal. Then again, Will Arnett has already signed up in some capacity, so the role may have already been filled.